The world has lots of tourist destinations and how you wish you will someday visit each one! You know that it would take a lifetime and inexhaustible caches of money, neither of which you probably have. When there’s actually a chance for you to travel there’s nothing more you’d want but to make the most of your vacation. Now comes the tricky part – where would you want to spend it? If you are fond of the beaches and coastlines, there are Hawaii and Mexico to consider. Hawaii is, of course, the 50th state of the U.S., boasting of six islands where you can find some of the world’s best beaches. 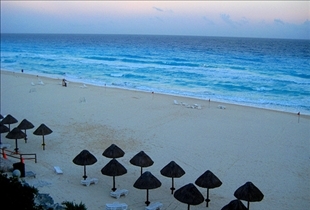 Mexico lies on the southern side of the U.S. and also cannot be outdone in terms of the quality of its beaches. Your first trip should be memorable and Hawaii is sure to please! 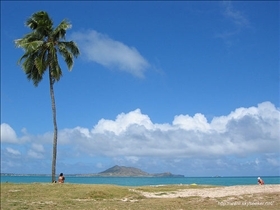 There are six islands in Hawaii, each with noteworthy sites to visit. The Pearl Harbor in Oahu, for instance, is a National Historical Landmark, and always a traveler’s delight. Also in Oahu is the Polynesian Cultural Center, which features authentic luau and the world’s biggest Polynesian night show. There’s also Haleakala in Maui, a non-erupting volcano from where you can have a spectacular view of the sunrise. At the Big Island are the Hawaii Volcanoes National Park and the Mauna Kea which literally transforms into a White Mountain. Kauai is home to the Wailua River upon which two magnificent waterfalls stream, and the breathtaking Na Pali coast. Then of course, if you’re after the beach, you have a number of options, amongst which is visiting Lanikai Beach in Oahu, Hanalei Bay Beach in Kauai, Kaanapali in Maui, Hanauma Bay in Oahu, Ke’e Beach Park in Kauai, Kapalua Bay Beach in Maui and Hapuna Beach State Park in Big Island. Mexico is also one of a most favored tourist destinations. While in Mexico, you should take time to visit Acapulco, a major city in Mexico which houses the Coyuca Lagoon, the Rocky Point on the northern part of the Cortez Sea, and the island of Cancun, Monterrey which is home to Macro Plaza, Cathedral, and Museum of Mexican History. You shouldn’t miss the Mayan Riviera with the world famous Mayan Reef. Some of the world’s best beaches, such as Cabo San Lucas and Playa Bonita, are found in Mexico. There are many fun things you can do in Hawaii, besides sightseeing or heading off to the beaches. If you love adventure, you can go parasailing or take a morning cruise along Pawai Bay, snorkel on the Forbidden Island, and take a kayaking trip. While in Mexico, you can climb the snow-capped volcanic peaks of Nevado de Toluca or scuba dive on its water-filled craters. Also, cruise the tree-lined canals on board a trajineras, jetski, windsurf, watch a ballet performance, and never miss a beach party! Mexico is most famously known for its Mayan star-watcher pyramids. In the Yucatan, visit Chichen Itza, Mayapan, Ek Balam or Dzibilchaltun. In Campeche, Chiapas or Quintana Roo, see Palenque, Becan, Calakmul, Chac Mool, Bonampak, Xel-Ha, Chicanna, Coba, Muyil, Chacchoben, Tulum or Yaxchilan. Hawaii is blessed with a rather temperate climate all throughout the year which makes it an ideal place to visit no matter what time of year it is. In Mexico, the temperature is not the same in all areas. The low lying areas are hot and humid, but in Mexico City, the temperature is a lot milder, averaging just 18 degrees Celsius. The warmest month is in May while the coldest is January when one gets the chance to experience night frosts. Who’s to say it wouldn't wise to go someplace for the sole reason that you simply want to see the place and go just to see what the hype is all about. You will most likely enjoy your time and your stay wherever you choose to go so you can have many things to say in your book of memories. Which vacation spot is better? Honestly Hawaii and Mexico have nothing in common beyond the beaches. Hawaii is one of the safest, most cultural, most spiritual destinations on Earth. It should more rightly be compared to Macchu Picchu than to Ft Lauderdale or Mexico. Sacred energy abounds in Hawaii, from the Garden Isle of Kaua'i to the Big Island of Hawai'i which has living volcanoes, waterfalls, the tallest mountain on Earth measured from base to summit, lush tropical valleys and black or green sand beaches where sacred turtles play or nest. If you think Hawaii is just sun, sand and shopping, come for another visit! It is a place to enrich you, body and soul. just found this...are you serious? Hawaii is one of the safest? You know how many incidences happen in Hawaii every year. Most of them aren't reported because they don't want to drop the tourism. There have been three drive by shootings on the interstate alone. The locals are natorious for attacking people at will. The local youth is increasingly getting more violent. Hawaii IS one of the safest places. There's crime everywhere...and increasing by the day--no doubt about it. However, Hawaiians will not tolerate their youth to run a muck. We'll give them "lickens" right in front of any person they disrespect. Plus, last time I checked, Hawaii was still part of the United States. If you think you can't trust the US justice system to keep you safe, then you DEFINITELY won't trust it in a foreign country . Believe me, I know, cause I'm a Hawaiian girl that's been living in the midst of crime like Hawaii hasn't even experienced yet. I've been living in Mexico for 13 years now. I don't know where david got his crime statistics but they sure are way off.